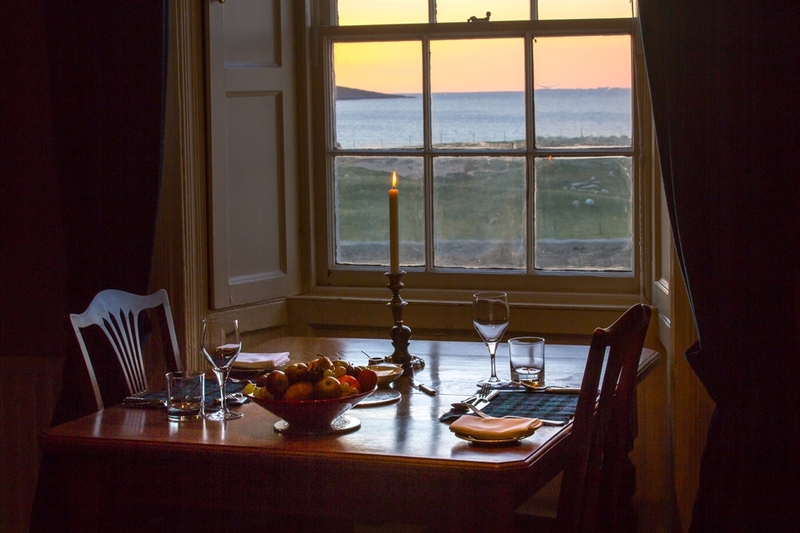 Traditional comfort, natural skilled cooking, lovely views and only a few minutes walk from a beautiful beach. 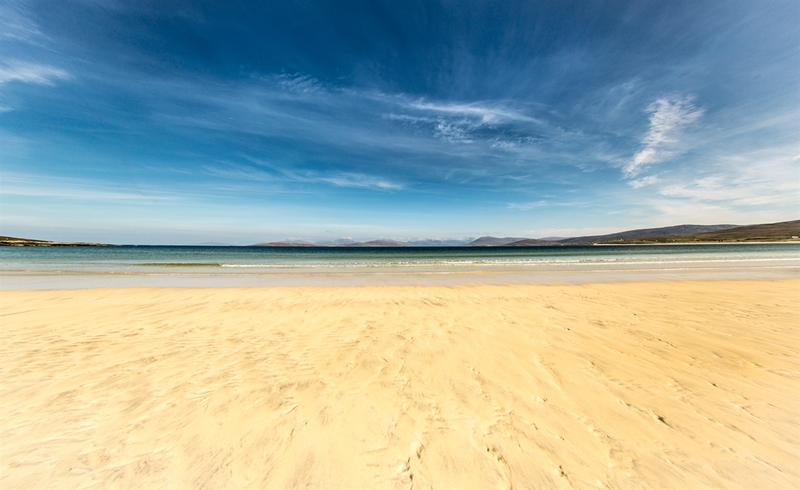 Scarista House is one of the most beautiful and remote places to stay in Britain, with lovely views of the Atlantic ocean, heather-covered mountains, and a three-mile long shell sand beach. 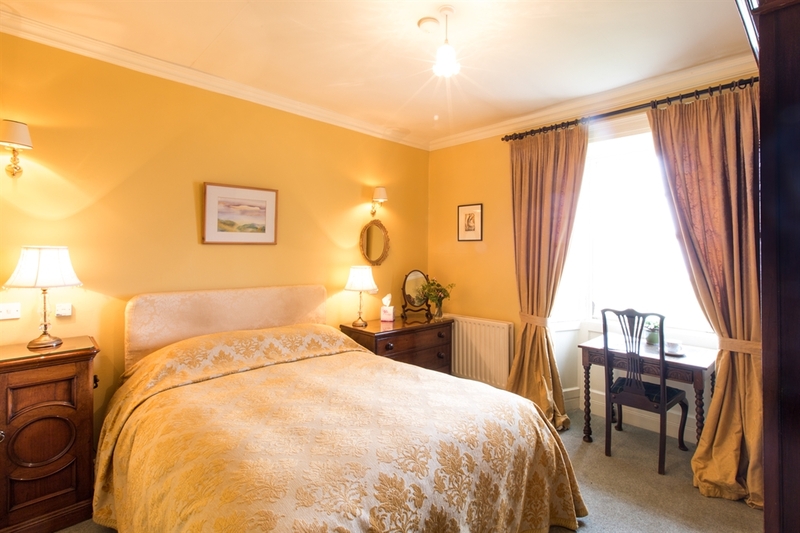 At Scarista House, a Georgian former Manse, we offer traditional comfort in elegantly furnished guest rooms and natural, skilled cooking and good wines in the dining rooms. 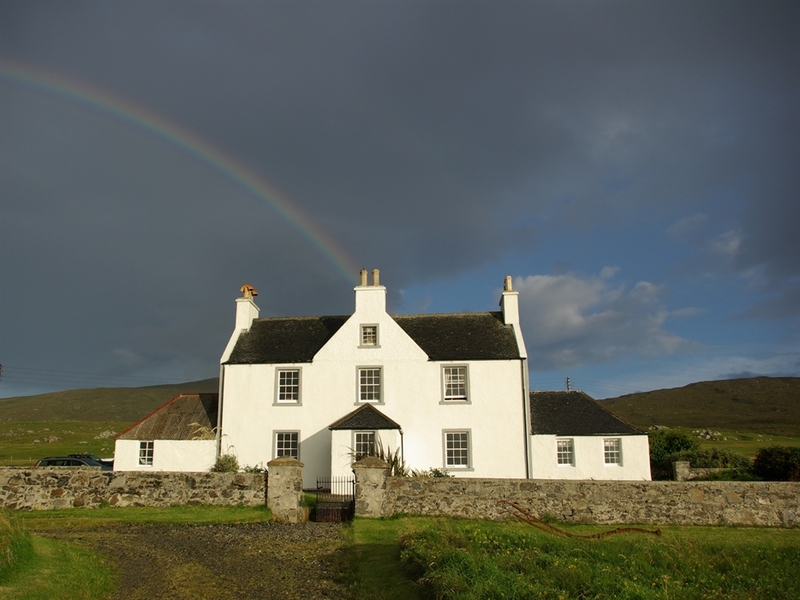 The house, one of the few listed buildings in the Outer Hebrides, was built in 1827 for the Church of Scotland minister. 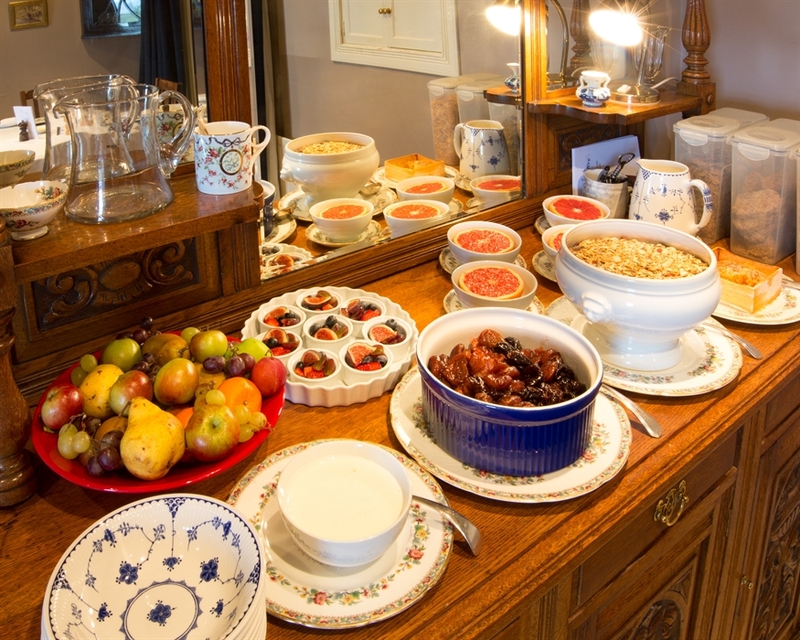 It isn’t a grand, stately home but it is a warm and comfortable place to stay. There are three bedrooms in the main house and three suites (each with its own private little sitting room) in the adjacent Glebe House. All the rooms have sea views and bathrooms en-suite. 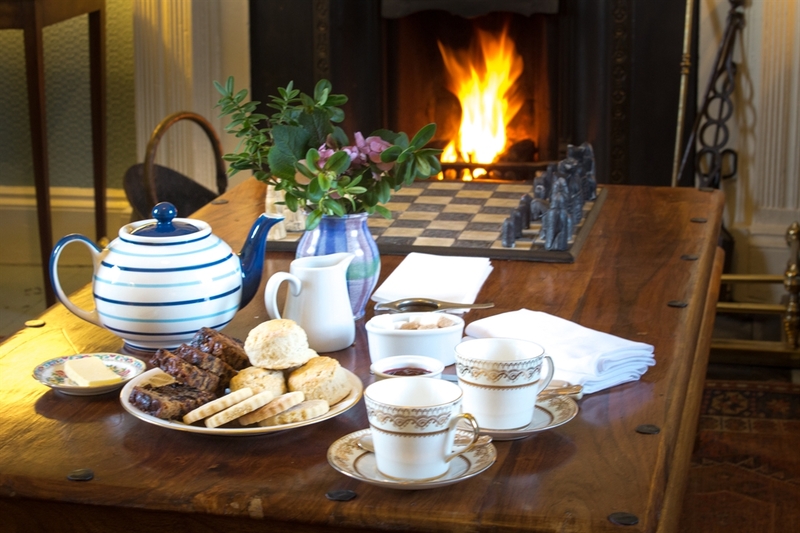 A library and first floor drawing room, both with open fires, are also available to guests. There are no televisions, but there is free wi-fi. Dogs are welcome. We have a dog and a cat. The two AA rosette restaurant is open to non residents and serves a daily changing set menu of local fish, shellfish, lamb, beef and game and, when possible, organic home-grown vegetables and fruit. Self catering cottage also available.